“I have to warn you boss. You’re apt to get a phone call from the Texans about their disenchantment with the West Coast Trail trip.” Such was the ominous warning from my lead guide. A few months earlier I had booked 6 members of the same Texas family to hike the West Coast Trail with us. They were a hodgepodge of cousins, uncles, brothers, and sons. My lead guide reported that the family members were constantly at each other, arguing about this, that, family, politics, and whatever. No matter what the guide attempted to do to bring harmony to the situation, it didn’t work. The two other members of the group were Germans with limited English who must have wondered about the theater of it all. Every time the phone rang in the office over the following week or two, I expected the patriarch of this Texas group to be on the other end, ready to unleash a disgruntled tirade about our guides and services. But, no call came. I convinced myself that any dissatisfaction would manifest itself in telling whoever would listen, that doing a trip with us was tantamount to having a tooth pulled without freezing. One day in the third week after the trip I answered the phone to a familiar southern drawl. I anticipated the worst and had prepared various talking points for every conceivable scenario that I could imagine – except the one he sprang on me. “Len, that was the best trip we have ever been on. We all had a great time. The scenery, the food, the guides – all excellent!” He went on to say that discord was a normal feature of their family gatherings, and the West Coast Trail was no different. Somewhere, somehow, our conversation segued to a comparison of Texas grapefruits and California grapefruits. I am at a loss as to how that actually came about, but it did. An expected bluster of everything being bigger and better in Texas followed. 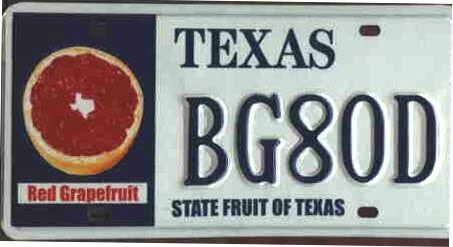 He promised me that he would send along some Texas grapefruits to prove his point. People are well intentioned, but time, sense, and cost usually have people rethinking any promises made in the moment. I thanked him for his positive comments and his offer to send some Texas grapefruits my way. Weeks passed and I had completely moved on from any thought of grapefruit ever arriving at the office. Then, the courier service appeared at the door! After two trips to the truck and a strained expression on the courier’s face, I was signing for two, very large, and heavy, cardboard boxes. After prying open the boxes, I was surprised to see 48 of the largest grapefruits I had ever seen. It was more grapefruits than I could ever hope to consume without tilting my PH balance out of whack for weeks. My gosh! He had come through on his promise! And indeed, they were the largest, sweetest, most succulent grapefruits I had ever tasted. What does one do with 40 grapefruit that I could not consume myself? Well, I went door to door in my condo with arm loads of grapefruit, knocking on doors, sharing the windfall, and relating the story more times than I care to remember.